It’s that time of year again! Families rushing to buy binders, books, clothes, backpacks, and all other last-minute items to get their kids ready for the new school year. Unfortunately, with the back-to-school rush, it is easy to forget about taking your child to get an eye exam or ensure they are taking good care of their peepers. While the new school year can be exciting for your kids, having an underlying eye health condition could seriously compromise their academic success. Since August is Children’s Eye Health and Safety Month, here are a few ways to make sure that your kids’ eyes are in great shape for the school year ahead. If you have a newborn in the family, make sure to keep him or her out of direct contact with the sun, as babies are very sensitive to light. After babies are one month old, they will be able to see more clearly and sharply, and they will also be able to see color. When babies are four months old, they can differentiate colors and will see the entire spectrum of the rainbow. To ensure that your baby can see well, you should make sure that he or she can track objects and recognize you. As your child ages, you should make sure to schedule a regular eye exam with an optometrist, even if your child appears not to have any vision problems. Astigmatism, a general blurriness that is caused by a misshapen eye, can develop at any age, but children can also grow out of this vision ailment. If your child complains of difficulty when reading or writing, or suffers from frequent headaches, these are signs that he or she may have an eyesight problem that should be examined by a professional. Most schools require kids to have yearly eye exams so that their vision is checked frequently. 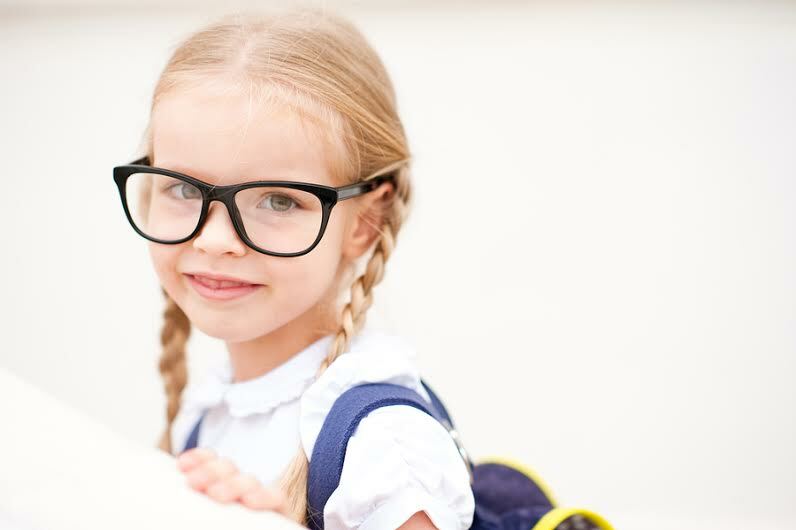 If you have any questions about kids’ eye health or would like to book an appointment at Valley Eyecare Center, give us a call at (602) 955-2700, or visit our website.